Hippity Hoppity | Live. Learn. Love. Eat. 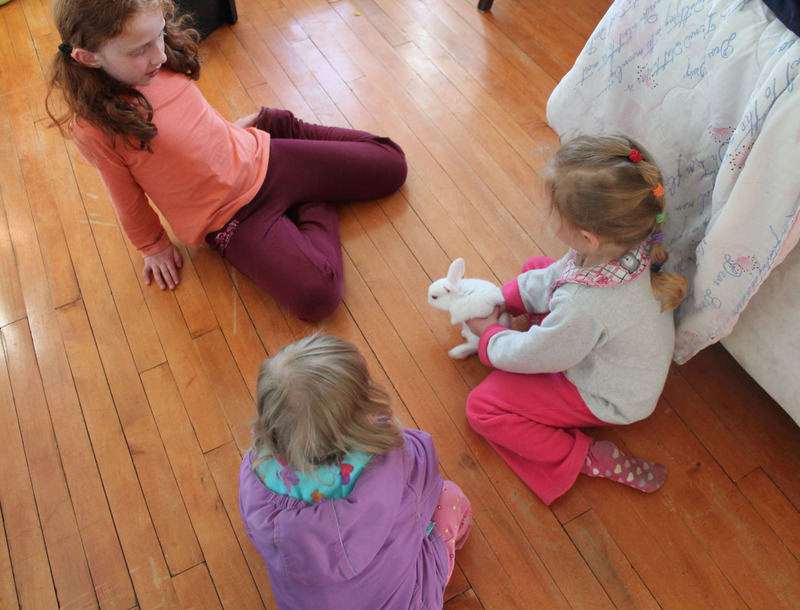 Tonight we did our grocery shopping in the city and then on the way home we decided to get the girls each a bunny. 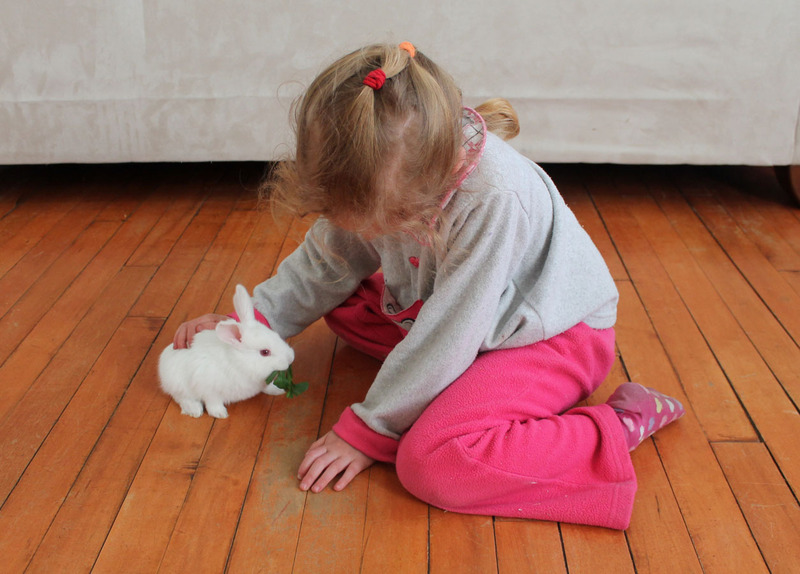 I have been wanting to get the girls a pet bunny for a while now and we have been watching out to see if there are any for sale this spring. This month there finally was. There were signs up in town, but on the drive we saw a sign on the highway, “Bunnies For Sale.” We talked a bit about it on the drive and then while we were in the city, we picked up some supplies to make an outdoor pen. On the way home we stopped in to pick up a couple. We got two, one for Kesa and one for Autumn. 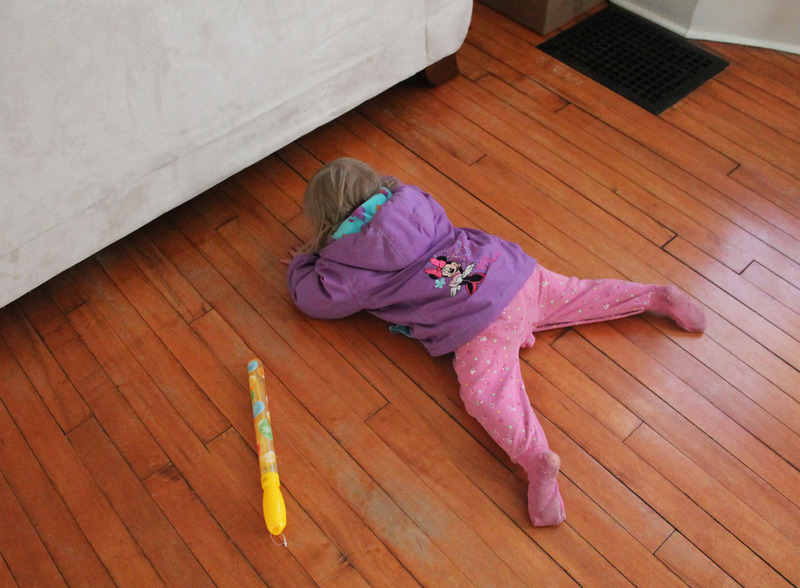 An extra one for Serafina would be too many and she is still too little to understand anyway. They were all so cute that it was hard to decide which ones to choose. 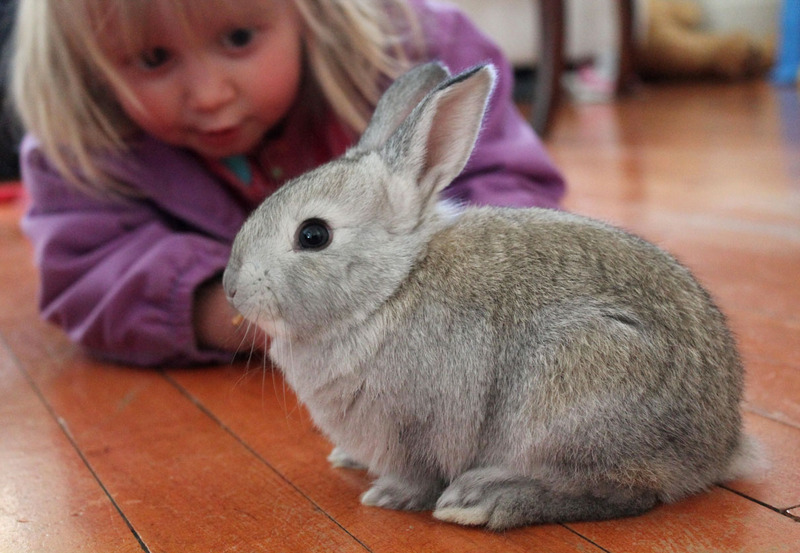 Autumn decided on this fluffy light brownish/grey one because it kept hopping toward her. 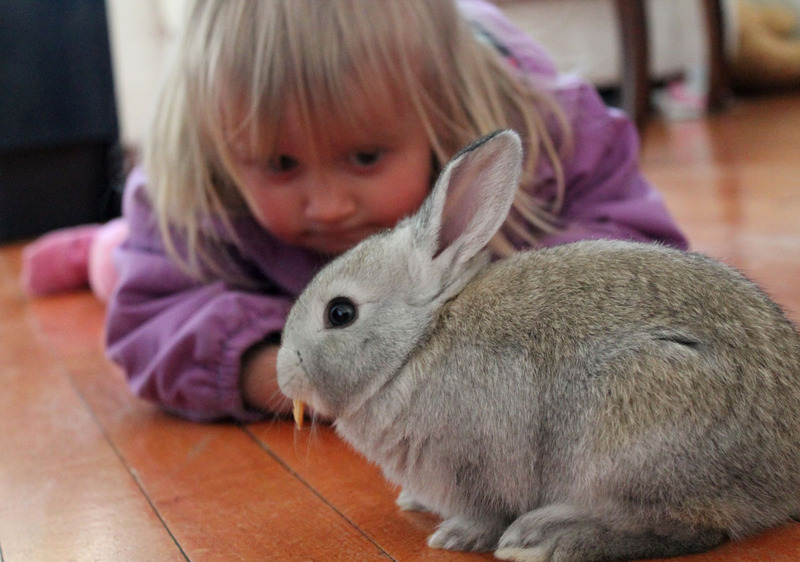 We decided to name it “Hoppity,” because Serafina always says “Hoppity” whenever she sees bunnies. 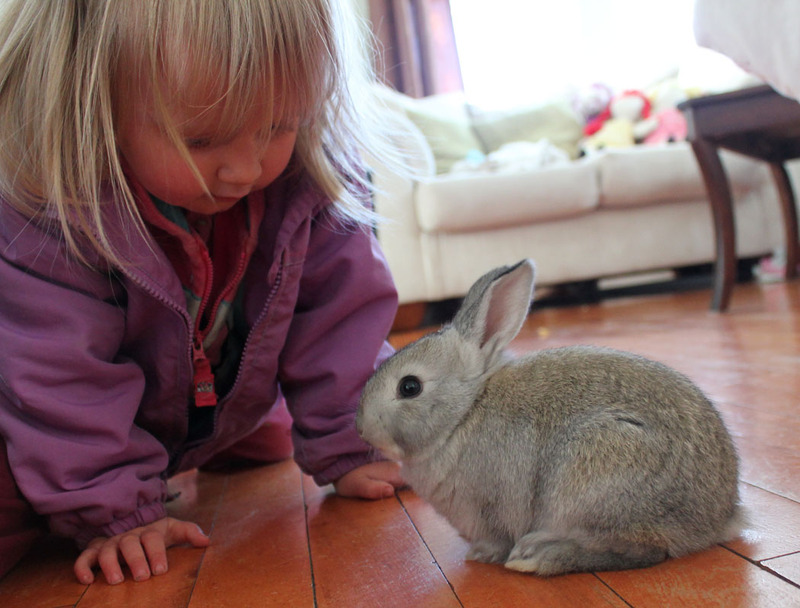 She always says “Hoppity” to her Bunny Grahams so I thought that one of them had to have that name. She was beyond thrilled to see a real live bunny hopping around. 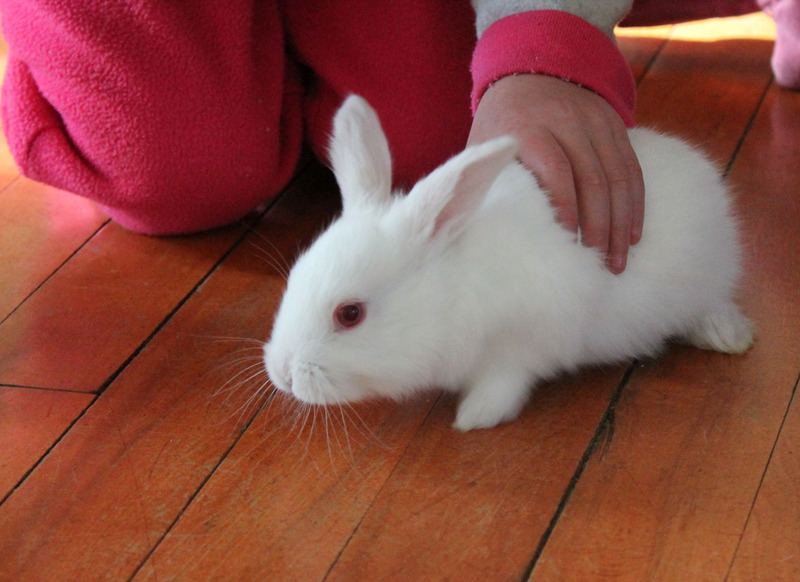 Kesa also named her white bunny Sugar too. And she loves him to pieces! We let the bunnies in the house while daddy made the bunny pen outside. Serafina was fascinated with watching the bunnies hop around. The girls also gave them some veggies to eat. They really enjoyed the leaves off of the celery and some lettuce. 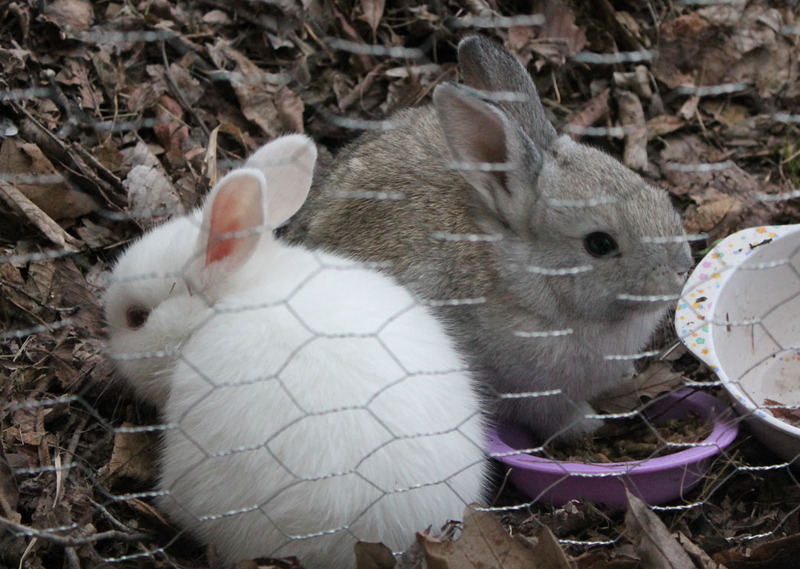 So now we have two sweet little bunnies, for our three sweet little girls. They are so happy about it. It makes me happy to see them so happy and it brings back memories of my childhood too. 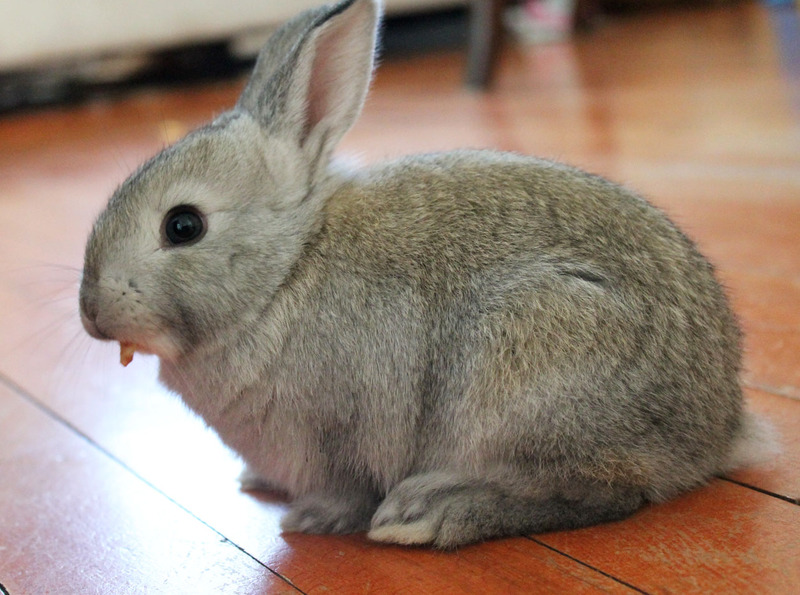 My little bunny Sugar. I did everything with that bunny of mine. I even dressed him up in doll clothes and pushed him in my doll carriage. 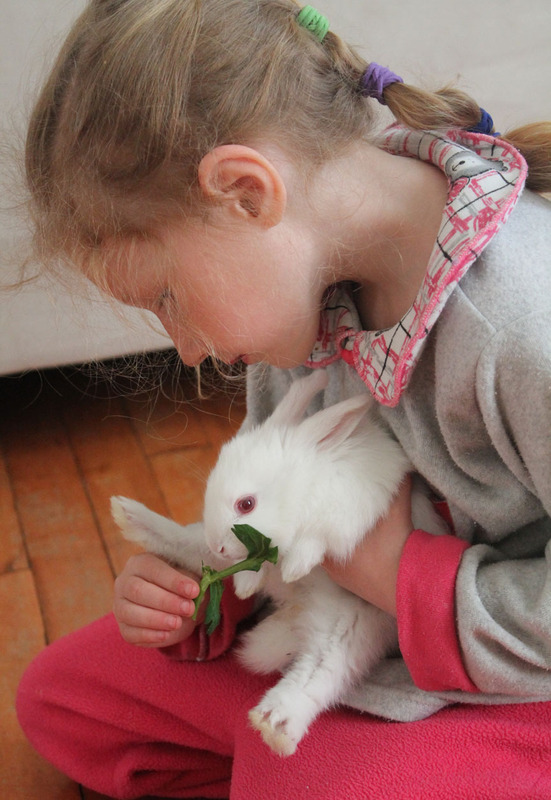 I think pets are so much fun for kids and having a pet teaches children to love and be kind to animals too. Thanks! 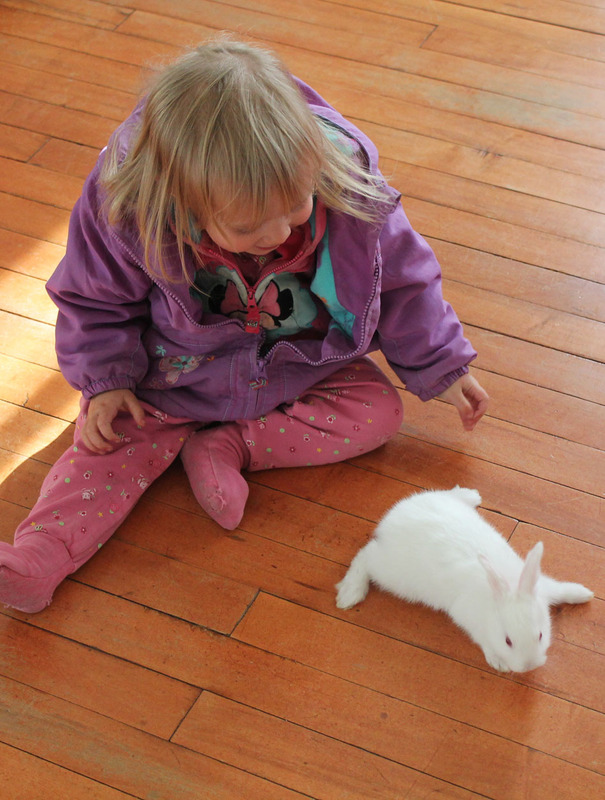 My bunny when I was a girl, was house trined too. They will come inside from time to time too of course (like right now). 🙂 The girls were so excited to bring them in this morning. How cute!!! 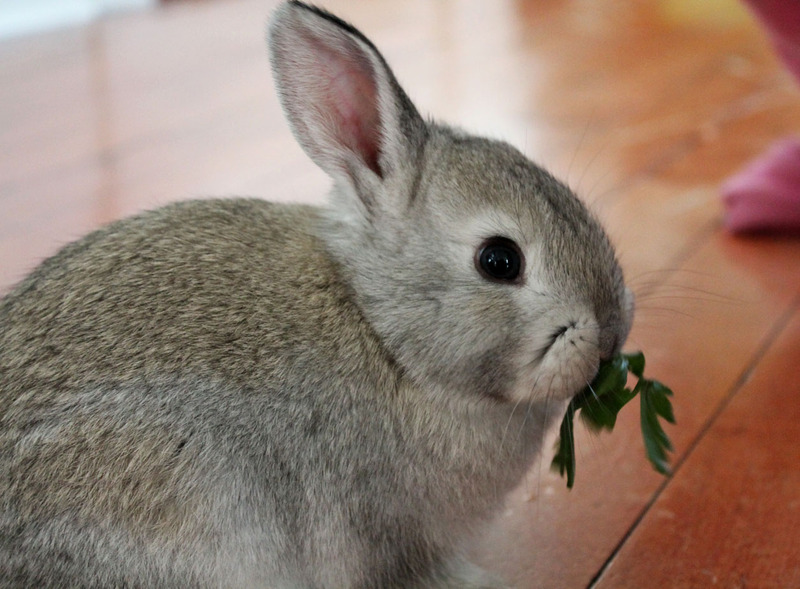 I read recently that rabbits are very “green” pets in comparison to cats or dogs, so there’s another bonus 🙂 What does your cat think of them? Oh, that is so fun. 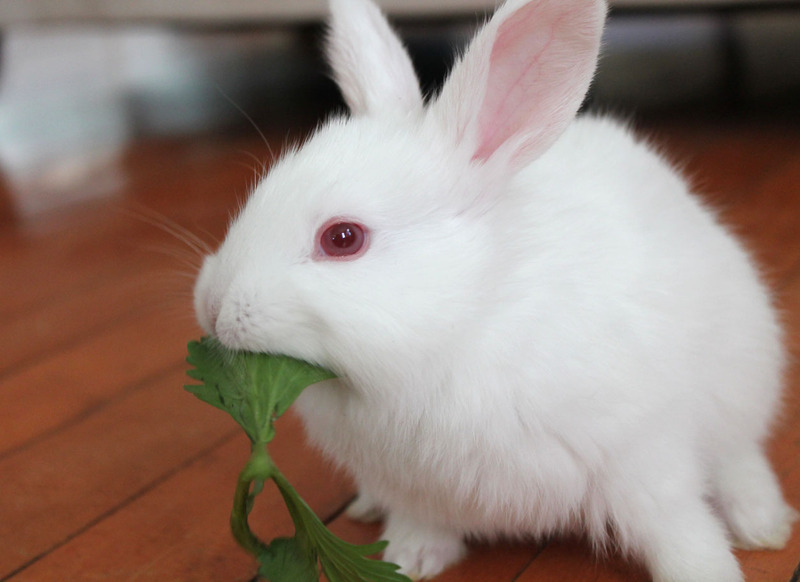 I had several bunnies as a kid, one white one like Sugar. I loved them, and I’m sure they will be great for your girls, too!